There has been some extremely big accusations about the Green Pastures Fermented Cod Liver Oil that came out over the weekend. Dr. Kaayla T. Daniels published a report, Hook, Line, and Stinker! The Truth about Fermented Cod Liver Oil which you can download here for free. You will have to put in your email address to get this free report though. This report alleges rancidity, using pollock livers instead of cod livers, and lowered levels of vitamins just to name a few. Dr. Kaayla T. Daniels is the Vice President of the Weston A. Price Foundation and received the Weston A. Price Foundation’s Integrity in Science Award in 2005. She also serves on the Board of Directors of the Farm-to-Consumer Legal Defense Fund. You can go here to learn more about Dr. Daniels. You definitely need to read this report for yourself just to know exactly what it says instead of only hearing it from others. You need to see this with your own eyes. Dave Wetzel from Green Pasture responds to this report here. He also sent it out to everyone that is on his email list. Also, here is Green Pasture’s FAQ page. I wanted to hear from other Weston A. Price followers. Some of the bloggers aren’t saying too much and some are really telling you what they think. I have listed some articles below that discuss this report. It’s very interesting to hear each person’s opinion on this topic. My husband and I weren’t as shocked as some. Todd and I have been researching cod liver oil for a couple months. We couldn’t really afford the Green Pasture brand anymore but wanted the best cod liver oil we could afford. So we went searching and saw many articles questioning the Green Pasture claims. So we started questioning it also. Below is a recently published article from the Price-Pottenger Nutrition Foundation detailing Dr. Price’s opinions about the different types of cod liver oils to use. Very interesting. Here’s some of the brands that we think are okay. You may want to do your own research on these brands though. We just bought the Nordic Naturals Arctic Cod Liver Oil. Next time we hope to try the Rosita’s EVCLO. There are so many things that we still don’t know. And this story is still unfolding. I look forward to learning more about this as it comes out. 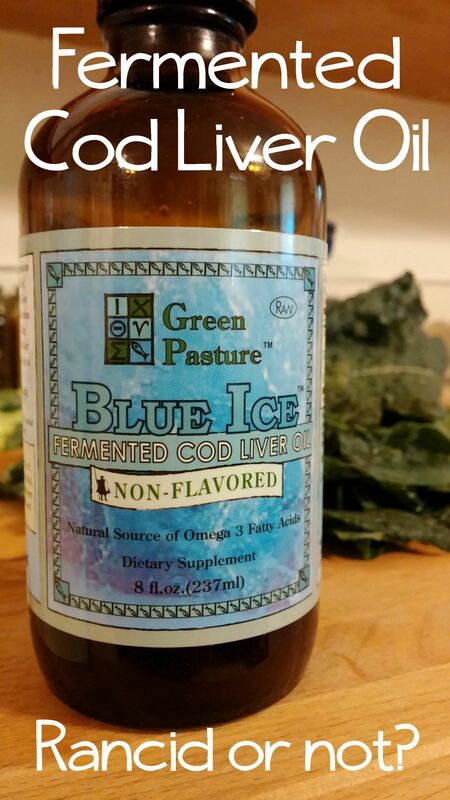 What are your thoughts on fermented cod liver oil? Love it? Hate it?